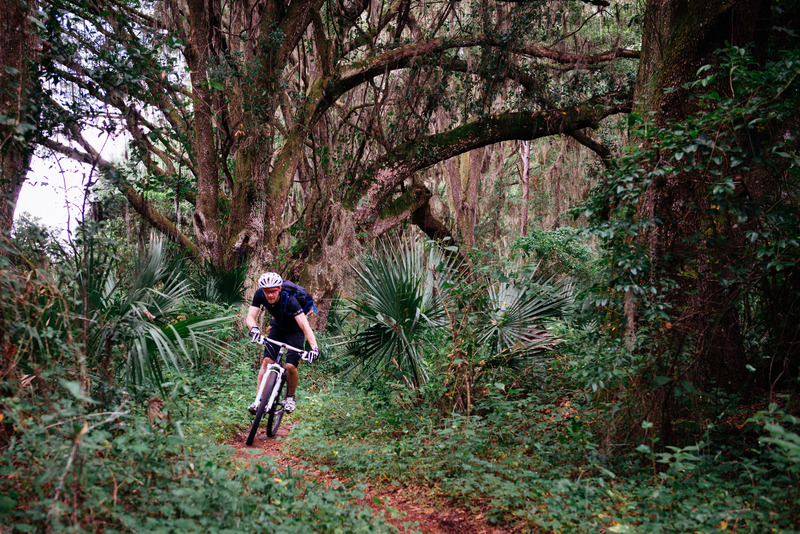 Spiders, snakes, 90% humidity and 35c+ temperature – that´s what mountain biking in Florida is all about! 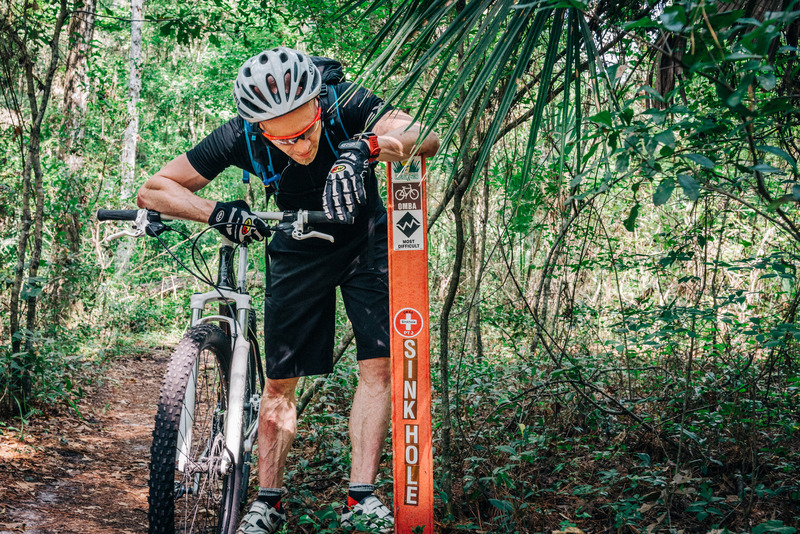 After a bit of research we found out that there actually are a couple of bike parks near Orlando, one of which was located roughly 1,5h drive away in a town called Ocala. 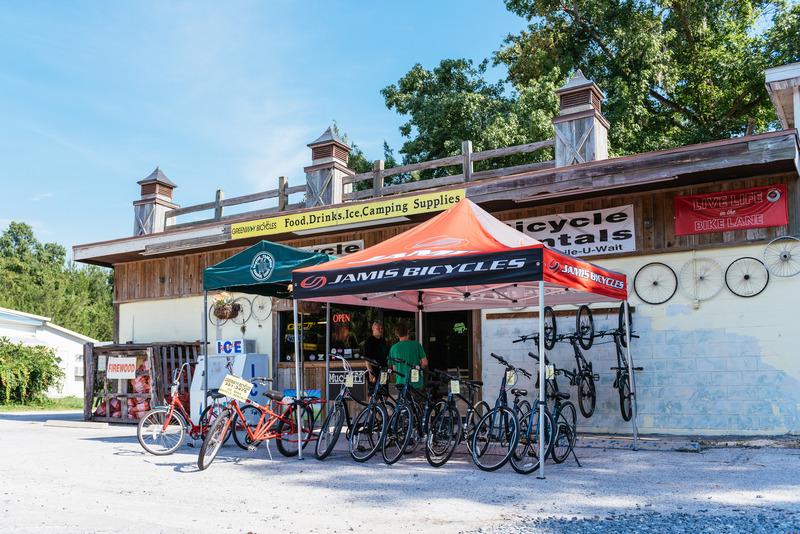 There´s a really helpful bike shop called Greenway Bicycles right at the Santos Trail Head and with a short phone call we sorted ourselves a set of hard tail 29ers for a weekend and we were all set! When moving around in U.S. you really need a car. At the rental shop we decided to go for a small convertible which felt like a great idea at the time. Later the same day we realized the bike shop and the trail head were actually not right next to our rented house and with the convertible we had no way to move the bikes around with the car. Luckily the guys at the Greenway Bicycles were kind enough to store the bikes in the shop overnight and we got them back the next morning cleaned and serviced. 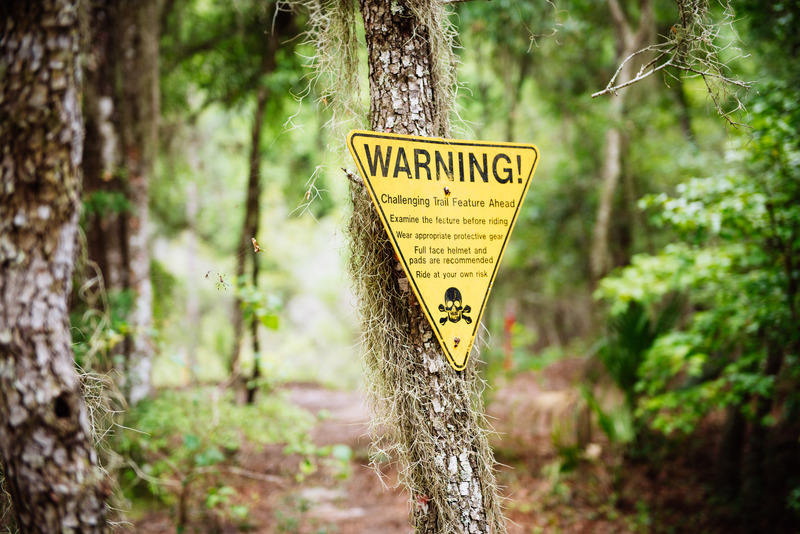 The Santos Mountain Bike Trail is a set of single tracks in the jungle varying from “easy” footpaths to “more difficult” ones with roots and a bit of rock all the way to “most difficult” with rocks, roots and small drops all mixed up in a curvy jungle trail. There´s also a freeride area called The Vortex that provides all sorts of pump and jump features and a challenging single track for the expert riders. 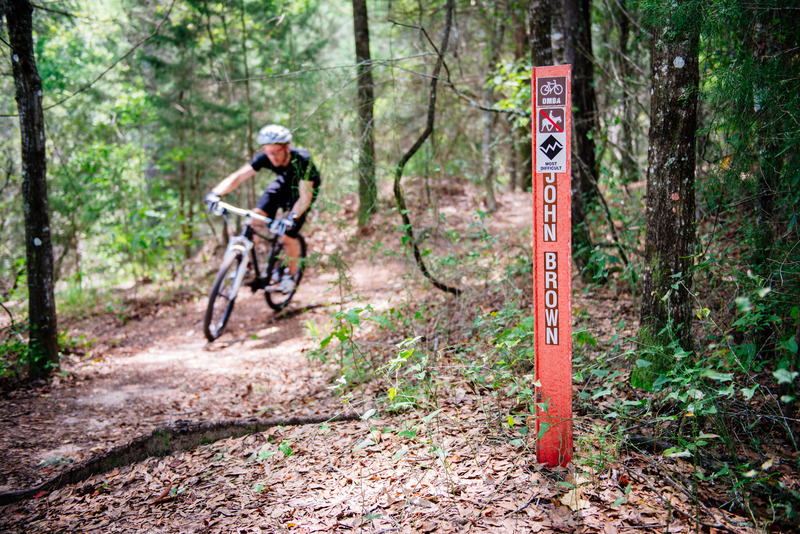 All the trails in the park were well marked and the bike shop provided us with an easy to follow map of the surroundings (which eventually evaporated to a mass of wet paper in our bike shorts pocket). 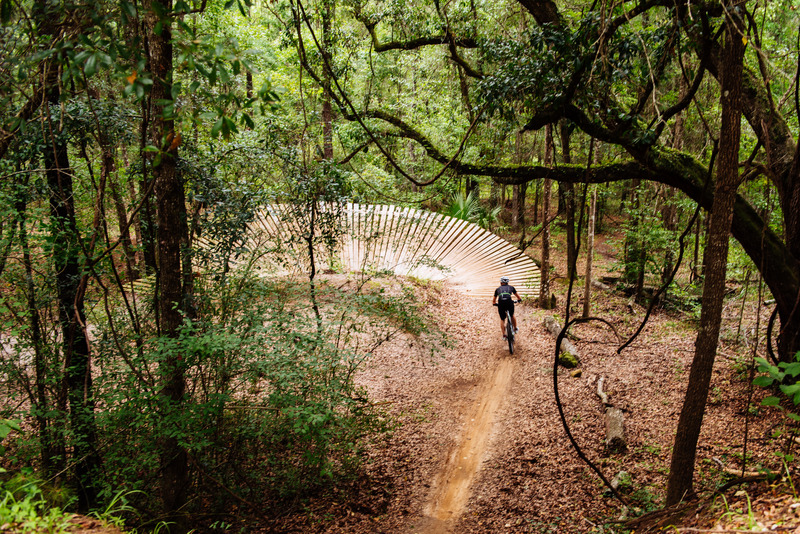 There was more than enough trails to ride as the bike park extended also to the trails in the Cross Florida Greenway. The humidity and heat were intense and I ended up drinking 5ish litres of liquid during a day´s ride. Most of the trail was shaded from the sun by the surrounding jungle and it felt like there was something living in every bush. On the bike, the spiders were the most common annoyances. 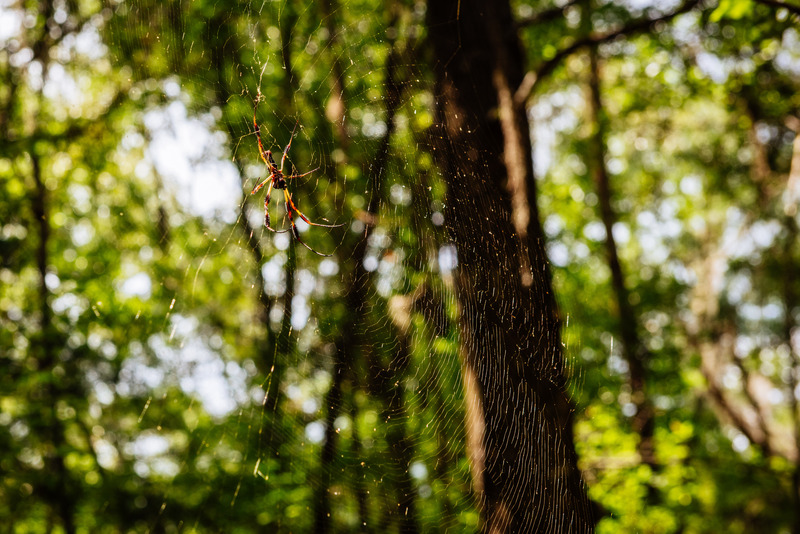 If you ride in the front, you´re bound to eventually hit a spiderweb crossing the trail and typically the spider is sitting in the center waiting for prey. Once you hit the web with your face/helmet/bike/elbow the spider typically jumps along and starts crawling on you resulting in a screamfest. We had no idea if the spiders were poisonous or not but in any case they were huge and scary. Snakes were another story. At one of the trail heads we saw a sign pointing out all the different types of venomous snakes living in the jungle. Typically the snakes are not a problem as long as you stay on the bike. However, the one snake we met was conveniently located on a cliff we were climbing off the bike. We decided not to investigate any further and very quickly retreated to the other direction. I´ve been riding mountain bike in a number of places but this was the first jungle for me. Once you get over the heat and humidity and get used to the occasional spider here and there it´s a really enjoyable experience! The trails with different difficulty levels provided good variety of hard riding as well as logging some recovery miles inbetween. The most memorable experience on the trail was encountering a big turtle crawling in the middle of the path. It didn´t notice me coming from behind and after quietly observing the sloooow progress for a while I carefully rode past trying not to scare it. No alligator sightings or snakebites to report, only one bloody knuckle and a bit of sunburn. One happy mountain biker heading home, 20 hours of travel ahead!